It’s very tempting when the market is difficult to blame your estate agent, especially when you doubt they are actually doing anything proactive to sell your house. But however inclined you might feel to bawl them out, it’s vital that you keep them ‘onside’ and the relationship as strong as possible, if you want to sell your house for the best possible price. Here are my five tips for keeping your agent sweet, and trying hard to sell your house. 1 . Keep in contact often, but non-confrontational. Find an excuse to call them about something insignificant, like “I just called you to warn you that the garden gate is sticking” so that they don’t start avoiding your calls. Keep your tone upbeat and cheerful so that each conversation is positive. 3. Get to know the other members of the team– pop into the office every now and again with a smile and if appropriate, cakes! A sunny disposition and treats go a long way to making sure the whole team is on your side. 4. Take them into your confidence and tell them your motivation for moving. 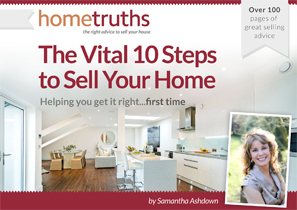 Understanding what is behind your move and how important it is to you and your family, will really help their motivation in turn to helping you sell. 5. Thank them for every viewing they book– people respond well to praise, and telling them that you know they are doing everything they can for you, and how much you appreciate it will make them want to do their best to help you sell. Keeping your agent on your side is so important, especially in this difficult market when many vendors are holding their agents to account for a lack of viewings. Avoid being on the “vendors I don’t want to talk to” list by treating your agent with respect and kindness, and they will, in turn, help you sell your house.